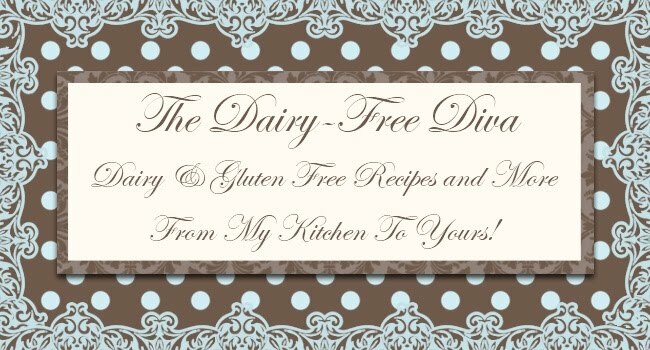 For a number of years now I have been working to perfect a dairy and gluten free stuffing that could rival the stuffing my mother made while I was growing up. Finally, I think I have gotten it right!! 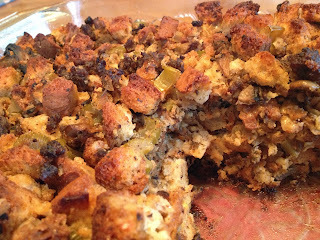 This years stuffing had a great texture and the flavor was great. It wasn't too dry or too moist. Even my husband who is very picky about stuffing loved it!! In fact, he finished off the leftovers the very next day. I hope that you will give this dairy and gluten free stuffing with sausage and mushrooms a try. Of course if you don't enjoy sausage or mushrooms this stuffing would still be great as a "plain" version. 2 sticks dairy free "butter"
In a 350 F oven dry the bread until completely dried and lightly toasted. Allow to cool then cube the bread into small pieces. Set aside the dried toasted bread in a large bowl. In a large skillet begin to brown and crumble the sausage. Add one stick of the "butter", onions and celery and continue to cook until the onions are almost tender. Add the mushrooms and cook until the onions are tender. Set the cooked sausage and vegetables aside. In a saucepan warm the chicken broth, one stick of "butter", and seasonings. Take the enriched broth off the heat and whisk in the eggs. Add the sausage, vegetables, and broth to the bread. Place the stuffing mixture into a 9x13 lightly greased glass baking dish. Remove the foil and continue to bake until the top is browned and crispy - about 15 minutes.